Pelham, a disabled veteran and recent graduate from Grand Valley State University, has experience in many forms of multimedia communications. He will work directly with business owners and managers when they are trying to promote their products and services through the chamber website and social media. “I look forward to working with local businesses and hope my skills will bring value to the chamber and to the community”, says Pelham. 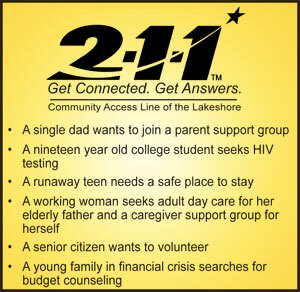 Justin can be contacted at jpelham@muskegon.org. 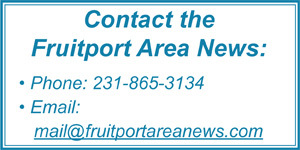 This entry was posted in Muskegon Lakeshore Chamber of Commerce on March 11, 2019 by editor. facility, said CPS President Maria Hedden during a recent facility tour with MLive/Muskegon Chronicle. In 1978, a group of parents, concerned about the future of their children diagnosed with a developmental disability, came together to seek a solution. Since then, MOKA has built dozens of homes and currently supports over 800 children and adults with intellectual and developmental disabilities, including autism. The mission of MOKA continues to expand, as they offer community jobs through supported employment, living supports, skill building programs, behavior analysis treatment options, and more. 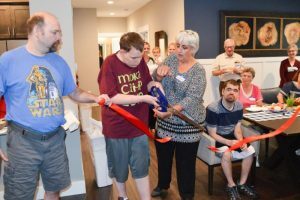 The organization employs approximately 550 employees in roles such as Residential Support Staff, Skill Building Mentors and Youth Autism Specialists. Get outdoors! 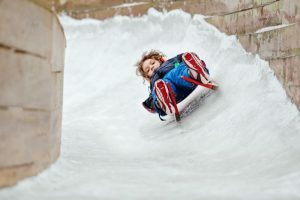 The Muskegon Winter Sports Complex features two acres of outdoor ice rink, a 1/4 mile ice skating trail, a luge track (one of only four in the United States!) and endless cross country skiing or snowshoe trails. 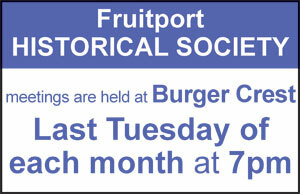 People were invited to join Watch Muskegon in enjoying the great outdoors on February 12 anytime from 4pm to 10pm. Those who pre-ordered activity passes received a special rate, and a portion of the proceeds went back to the campaign. 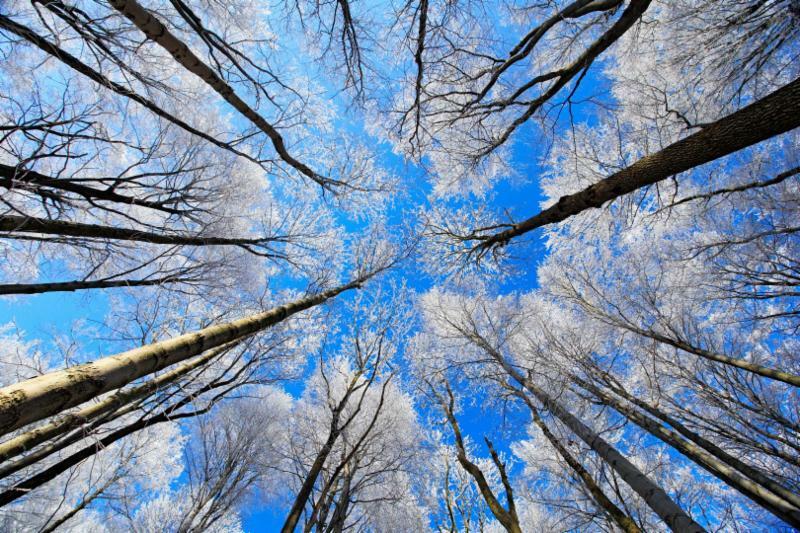 This entry was posted in Muskegon Lakeshore Chamber of Commerce on March 4, 2019 by editor. 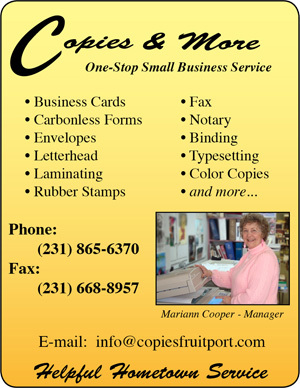 We would like to give thanks to our member businesses. You are the reason this community is growing and thriving! We appreciate all your hard work and dedication in making the Muskegon Lakeshore the best place to live, work, and play. Thank you! 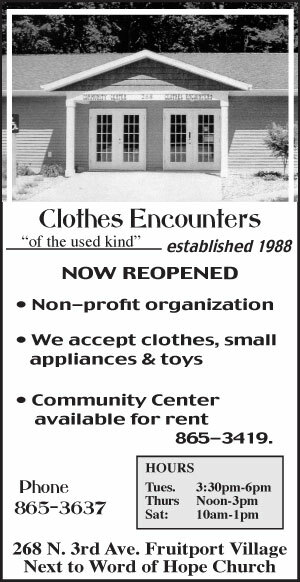 This entry was posted in Muskegon Lakeshore Chamber of Commerce on January 23, 2019 by editor. The 2018 Future 15 finalists were recognized for contributing to the growth and success of their company or organization and the positive impact they are making in the Muskegon Lakeshore community. 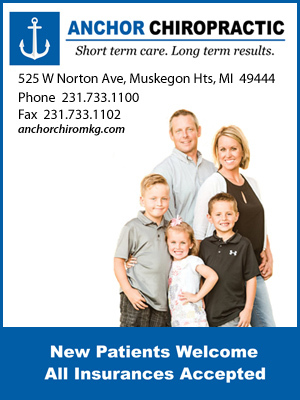 This entry was posted in Muskegon Lakeshore Chamber of Commerce on September 26, 2018 by editor. Muskegon, Michigan – The ATHENA on the Lakeshore committee is pleased to announce the 2018 ATHENA Award Finalists and the 2018 ATHENA Young Professional Award Finalists. Celebrating its 14th year, the ATHENA awards are presented annually to recognize outstanding lakeshore women who have demonstrated excellence in their business or profession, provided valuable service by devoting time and energy to improve the quality of life for others in their community, assisted women in reaching their full potential and exhibit the spirit of regional collaboration. This year, we celebrate nine ATHENA Finalists and four Young Professional Finalists. The ATHENA Award presentation luncheon will be held on Tuesday, October 2, 2018, at Muskegon Country Club. Reservations are required. Cost to attend is $35 per person for chamber members, $55 per person for non-members or $400 for corporate table of eight. A portion of all tickets sales supports local leadership programs. Reservations can be made by visiting www.muskegon.org or by calling the Muskegon Lakeshore Chamber of Commerce at 231.722.3751. ATHENA on the Lakeshore continues to be a unique program supporting, developing and honoring women leaders along the lakeshore. ATHENA on the Lakeshore is a program of the Muskegon Lakeshore Chamber of Commerce and The Chamber of Commerce Grand Haven, Spring Lake, Ferrysburg. PNC Bank is the premier sponsor. This entry was posted in Muskegon Lakeshore Chamber of Commerce on September 10, 2018 by editor. The Muskegon Lakeshore Chamber of Commerce representatives interviewed candidates running for county offices on business development and job creation. Two candidates received the highest “5” star rating. These candidates understand the economic issues facing the Muskegon Lakeshore community and will stand up for programs and services that create jobs and prosperity in Muskegon County. Candidates were questioned about leadership, knowledge of the business community and how they plan to personally help Muskegon achieve its full economic potential. The volunteer representatives spent a combined total of nearly 50 hours conducting the interviews and rating the candidates. A complete list of candidate ratings can be found in the Advocacy Center at www.muskegon.org. 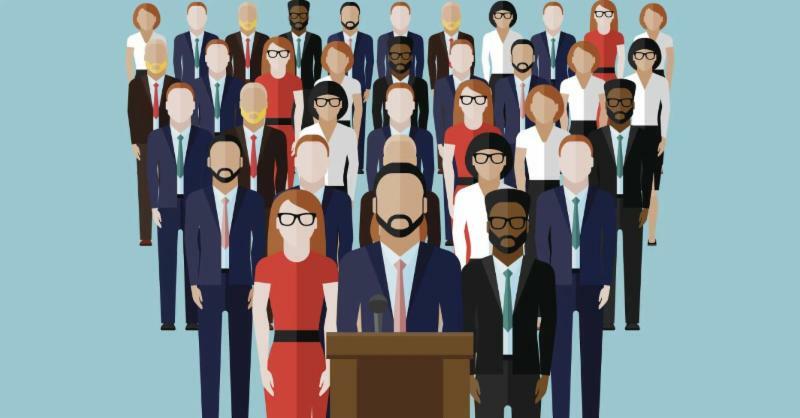 “This online resource provides the community a platform to quickly compare the local candidates running for office and access other election resources,” says Viktor Anderson, co-chair of the Government Affairs Committee. For more information about the community, business development and the elections, please visit the Muskegon Lakeshore Chamber of Commerce website at www.muskegon.org. This entry was posted in Muskegon Lakeshore Chamber of Commerce on August 4, 2018 by editor. 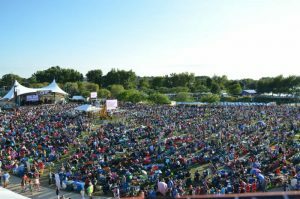 Muskegon, MI – Muskegon, Michigan is the winner of the 2018 national Strong Towns Contest! 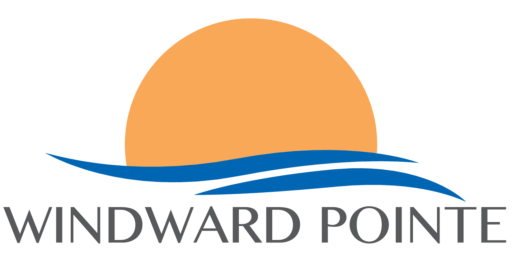 This contest is hosted by the Strong Towns organization, a non-profit community development group, who recognizes America’s most sustainable and resilient communities. Muskegon entered the month long contest competing in a bracket-based competition where finalists included Annapolis, Maryland; Greenville, South Carolina; and Kent, Ohio. Muskegon was recognized for its ability to implement change that makes the community stronger. The judges acknowledged Muskegon for its “wildly successful farmers market, commitment to rebuilding the downtown and its good use of waterfront,” according to the Strong Towns announcement. “It truly was March Madness for Muskegon because we had to jump through hoops each week to make it to the contest finals,” says Cindy Larsen, President of the Muskegon Lakeshore Chamber of Commerce. The contest included writing essays about the town, sending photographs, a podcast and a live webcast with the City Manager, Frank Peterson and Chamber President, Cindy Larsen. Members of the strong town organization across the country along with local community residents casted their votes for their favorite community. In the championship round, Muskegon, Michigan won against Kent, Ohio by 4 percent! For more information about the community or the award, visit www.muskegon.org or www.strongtowns.org. 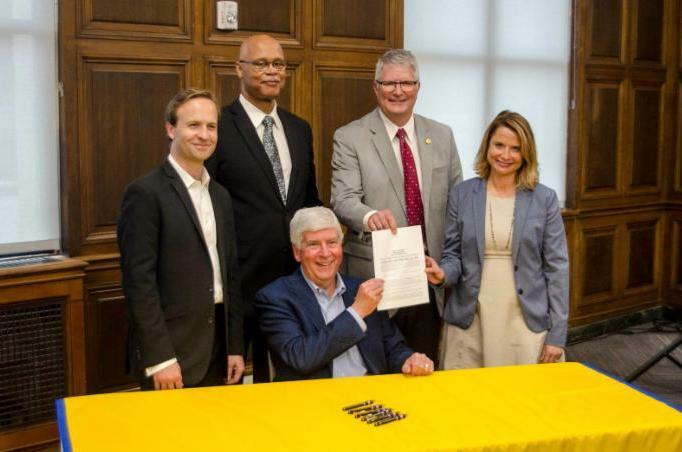 This entry was posted in Muskegon Lakeshore Chamber of Commerce on May 22, 2018 by editor. What office item was invented in Muskegon? 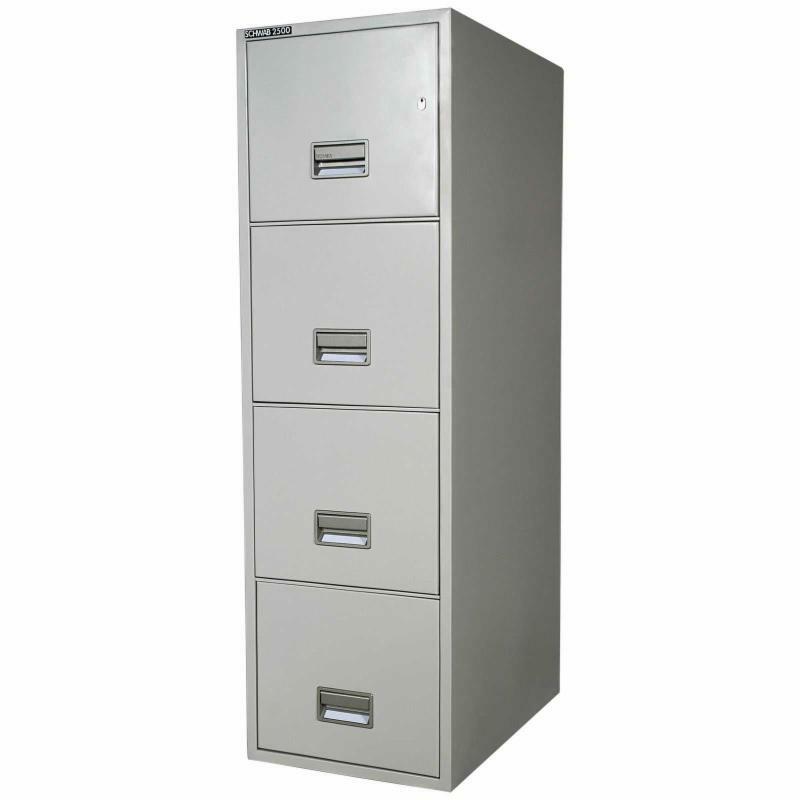 And the answer…the Steel File Cabinet! Yes, Muskegon is beautiful but it is much more than that! Become Muskegon STAR! certified and get knowledge on how unique Muskegon County really is. You will receive an official STAR! 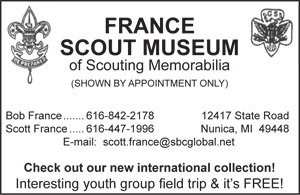 pin, certificate of completion and free admission to several area attractions! 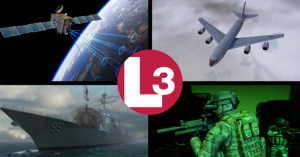 This class is taught by community experts: Pat Shafer and Linden Peterson. This entry was posted in Muskegon Lakeshore Chamber of Commerce on May 3, 2018 by editor. This entry was posted in Muskegon Lakeshore Chamber of Commerce on May 2, 2018 by editor. 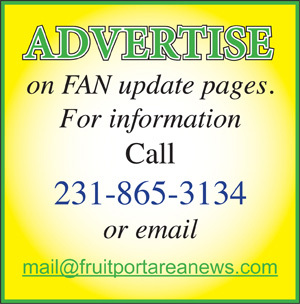 Food & Facts – Take a break to educate. Google is the #1 search engine. Is your business easily found? Is all your information correct? Join us to learn how to completely optimize your “Google My Business” Listing with 9 simple tips. Presented by: Michele Ringelberg, Owner of ThrivePOP, a local web and marketing firm. 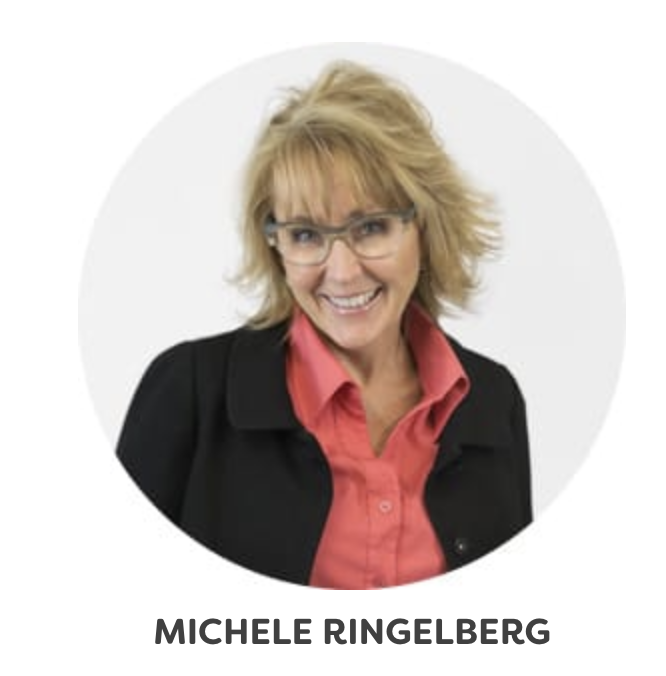 Michele has over 20 years’ experience in web and marketing services and was named Marketing Genius in a nationwide IT Marketing Services competition in Nashville, TN. This entry was posted in Muskegon Lakeshore Chamber of Commerce on April 24, 2018 by editor. 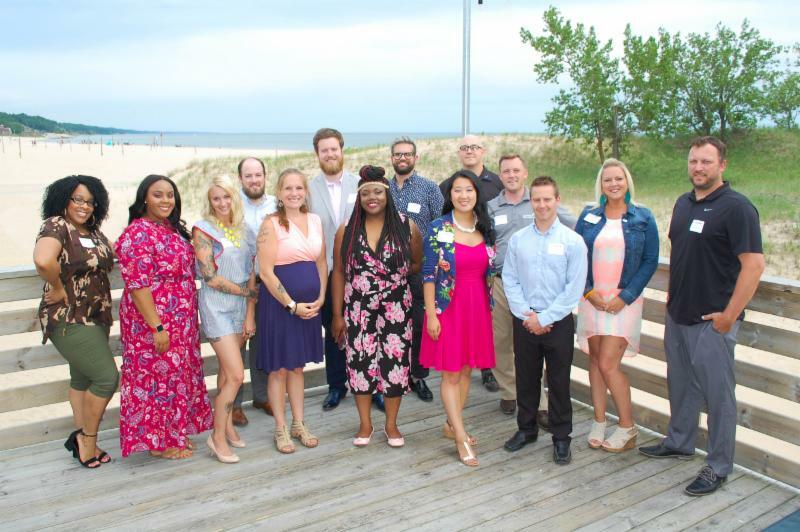 Seven local Entrepreneurs of Excellence will get recognized for making a lasting impact on the community at The Muskegon Lakeshore Chamber of Commerce’s annual “E-Awards” Luncheon. Entrepreneurs improve the standard of living in our community in addition to creating jobs, new businesses, and social change. The luncheon event celebrating Muskegon’s entrepreneurial spirit will be held on April 27. During the luncheon, one will be named Muskegon’s 2018 Outstanding Entrepreneur of the Year. 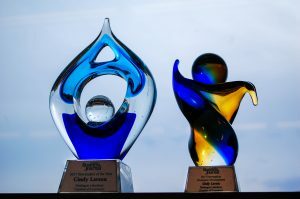 The entrepreneurial stories of this year’s Entrepreneurs of Excellence will be shared at the Annual E-Awards Luncheon. These awardees are chosen by a committee comprised of past Entrepreneur Award winners. 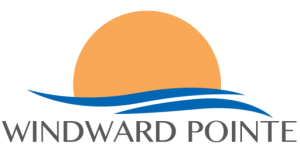 On the program is past Outstanding Entrepreneur of the Year, Scott Erdman, Owner of Erdman Machine Co. who will share his story of success. 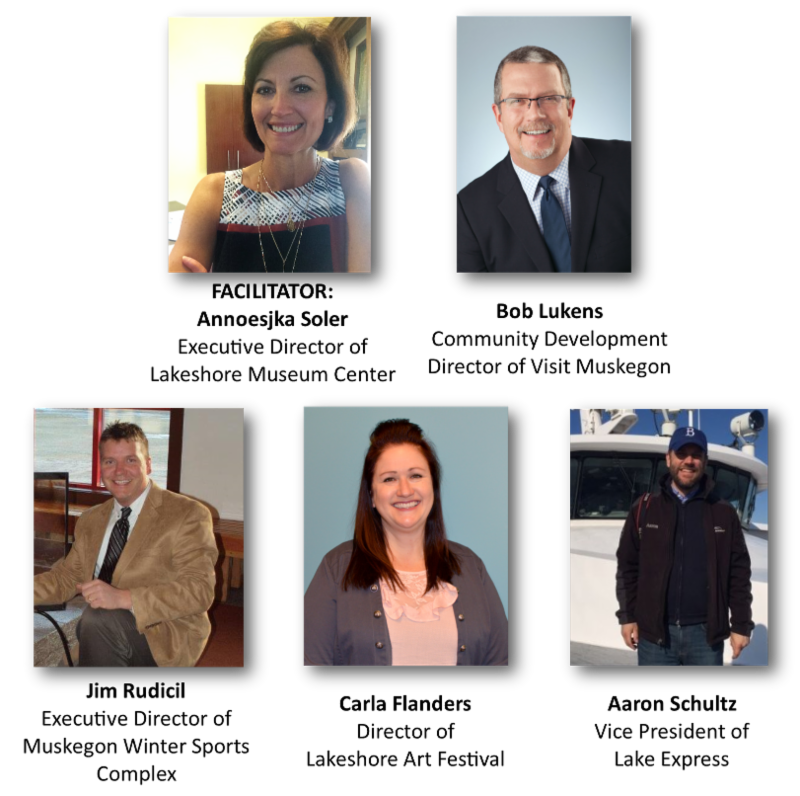 About: Recognition of the lakeshore’s Entrepreneurs of Excellence, the announcement of Muskegon’s 2018 Outstanding Entrepreneur Award Winner and hear from past Outstanding Entrepreneur of the Year, Scott Erdman, Owner of Erdman Machine Co. If you would like more information about the award, program, or to register for the event, contact the Muskegon Lakeshore Chamber of Commerce office at 231.722.3751 or visit www.muskegon.org. This entry was posted in Muskegon Lakeshore Chamber of Commerce on April 23, 2018 by editor. Chamber President, Cindy Larsen, won the Grand Rapids Business Journal 2017 Newsmaker of the Year award this month. The award recognized Muskegon’s redevelopment efforts which include over $1 billion in investments! In addition to winning the overall 2017 Newsmaker of the Year award, Larsen and the Muskegon Lakeshore Chamber won the Newsmaker award in the economic development category as well. WATCH US GO! Click here to learn more. 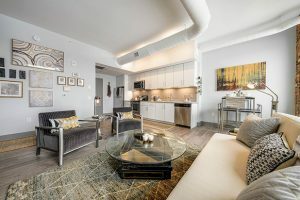 More living options are available Downtown Muskegon and they are quickly filling up! Highpoint Flats filled 11 of their 47 apartments within the first week that the leasing office was opened. This is just one of many projects making Downtown Muskegon a living destination. Highpoint Flats is on schedule to be complete this May. Location and design of the new convention center is under way! Progressive AE, an architectural design firm, has been contracted to work on the proposed convention center. The Muskegon City Commission and Muskegon County are working together to make this happen. The convention center is expected to open in 2021 with construction starting in 2019. 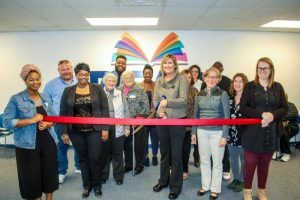 Read Muskegon, a non-profit organization dedicated to improving the quality of life through improved literacy in Muskegon, was selected as a finalist in the MiBiz Best-Managed Nonprofits Awards. They opened their family literacy center in Muskegon Heights last May. Muskegon receives more national recognition! 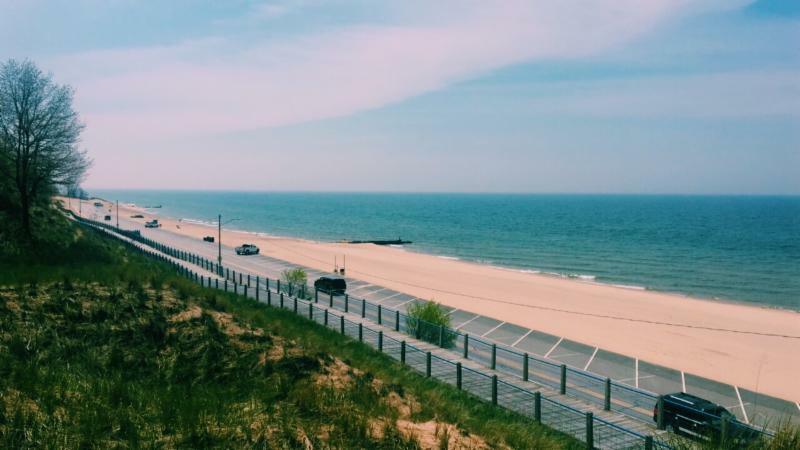 Pere Marquette Beach in Muskegon was mentioned by National Geographic as being a destination for surfers. Muskegon is continuously getting put on the map on a national level for its innovation, cultural offerings and natural resources. New this year is the Great Lakes Surf Festival slated to happen this summer. 84% of NEW Promise scholars are planning to pursue a bachelor’s degree after the promise. This entry was posted in Muskegon Lakeshore Chamber of Commerce on April 12, 2018 by editor. Muskegon, MI – Cindy Larsen, President of the Muskegon Lakeshore Chamber of Commerce, accepted the Grand Rapids Business Journal 2017 Newsmaker of the Year award this morning at the Frederik Meijer Gardens & Sculpture Park in Grand Rapids. This award recognized Muskegon’s redevelopment over the year which includes over $1 billion in investments. The community engagement strategy formulated by the Watch Muskegon Campaign has tapped the energy of over 100 community stakeholders and thousands of area residents. “From large businesses and small business start-ups to investments by education and government, Muskegon’s resurgence is now unstoppable,” according to the Chamber President. Also recognized at this event was GE Aviation/Norton Shores facility. They are one of many growing manufacturing companies located along the Muskegon Lakeshore. In addition to winning the 2017 Newsmaker of the Year award, Larsen and the Muskegon Lakeshore Chamber won the Newsmaker award in the economic development category. Each year, Grand Rapids Business Journal reporters and editors meet to discuss nominees for the upcoming Newsmaker of the Year honors. This year, more than 225 choices were considered before determining the top three nominees in 16 different categories. The top selection from each category was recognized with an industry Newsmaker award, and the 2017 Newsmaker of the Year was selected from among the winners of those 16 categories. The top Newsmaker in each category and the overall Newsmaker of the Year were announced during the event. 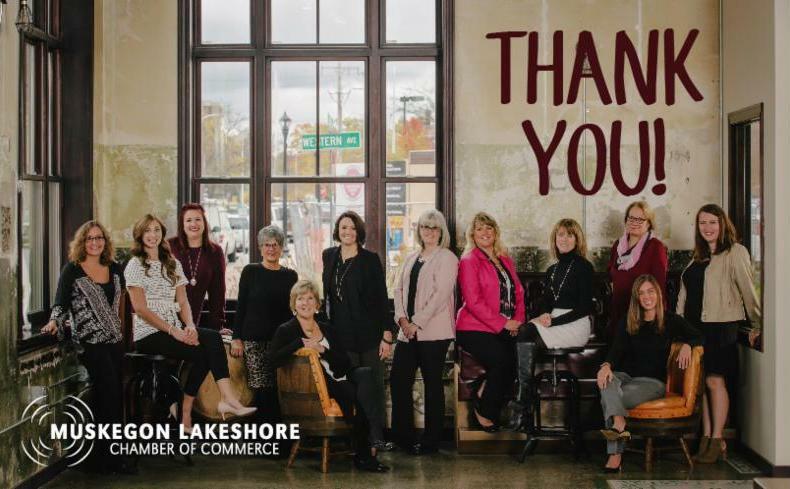 About the Chamber – The Muskegon Lakeshore Chamber of Commerce is the premier business membership organization on the lakeshore representing over 1,200 businesses and organizations. The Muskegon Chamber represents businesses of every size and type all over West Michigan. The Chamber is celebrating 125 years in operation working to sustain an environment for business success through community leadership, promotion, inclusive business advocacy and valued member services. The Muskegon Chamber is an award winning Chamber, being named Chamber of the Year for the State of Michigan in 2006, 2010, 2012, and 2015 by the Michigan Association of Chamber Professionals. This entry was posted in Muskegon Lakeshore Chamber of Commerce on April 4, 2018 by editor. Will You Consider Running For Office? We need people with business experience running for elected positions. This year, Muskegon County Commission seats are available. Now is the time to start preparing! Below are resources to help you begin your journey into public office. The Chamber’s government affairs committee is here to help! Click here for more resources and ways to get started. This entry was posted in Muskegon Lakeshore Chamber of Commerce on March 22, 2018 by editor. Downtown Muskegon Now with the support of five groups excited about the explosion of downtown residential options launched the Live Downtown Muskegon initiative at the Muskegon Lakeshore Chamber of Commerce’s Home, Garden + DIY Show at Fricano Place Friday and Saturday March 9 and 10. The same reasons that it is exciting to work and play in downtown Muskegon, it is now just as dynamic to live here as well, according to DMN Executive Director Dave Alexander. • Walk to restaurants, breweries and distilleries. 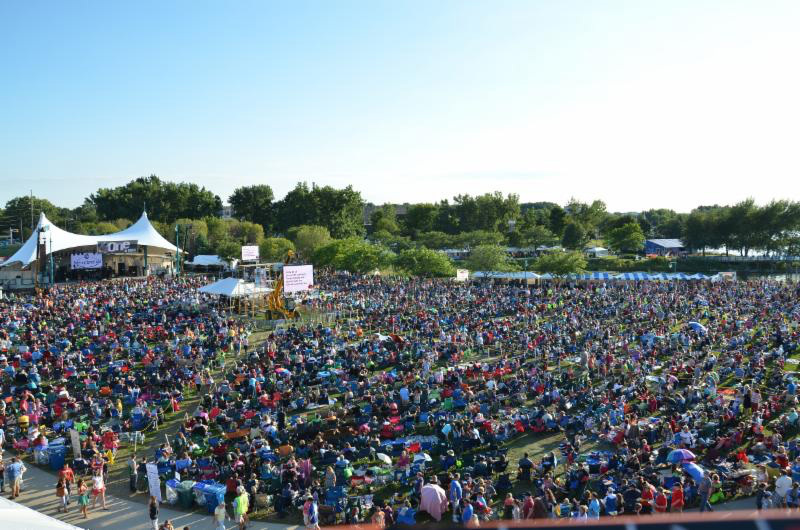 • Celebrate motorcycles, Irish music, Fridays in Hackley Park, arts and crafts, Christian music, Polish culture, jazz music and much more at annual festivals. • Cheer on the home teams Muskegon Lumberjacks, the Muskegon Risers and West Michigan Ironmen at L.C. Walker Arena. • Continue your education at the Muskegon Community College Sturrus Center, the Baker College of Muskegon Culinary Institute of Michigan and Hackley Library. • Shop local, specialty retailers at the Century Club Center, Western Market, Cheese Lady, Front Porch and Vintage Redefined. 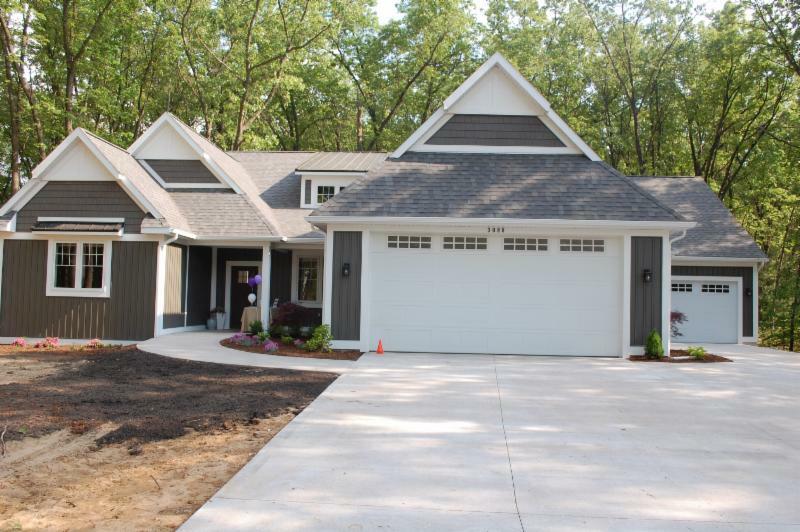 • Live in the dynamic and diverse urban Nelson Neighborhood. • Experience art, history and culture at the Muskegon Museum of Art, Lakeshore Museum Center, Muskegon Heritage Museum and the Hackley & Hume houses. • Take in Muskegon Lake sunsets at Muskegon County’s Heritage Landing. • Bike, run or walk on the Lakeshore Trail along Muskegon Lake. 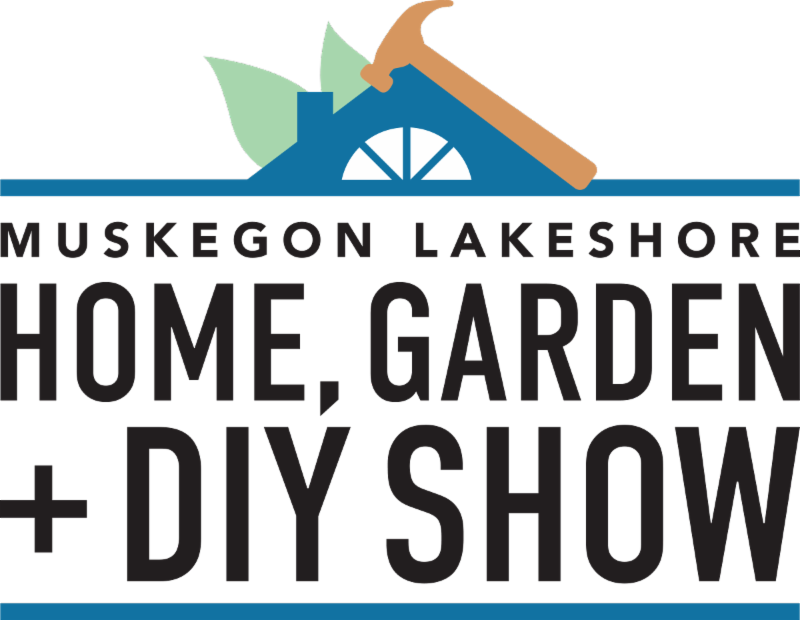 The Live Downtown Muskegon table was at the home show Friday from 11 a.m. to 7 p.m. and Saturday from 10 a.m. to 5 p.m. Alexander provided a seminar at the home show on downtown living Friday at 5 p.m. and Saturday at 1 p.m. The Event Center at Fricano Place is at 1050 W. Western in downtown Muskegon’s Western Waterfront district. Live Downtown Muskegon is being launched by Downtown Muskegon Now, Watermark Place, Lakeview Lofts, Port City Construction/Heritage Square Townhomes, Hinman Group/Terrace Flats and downtown’s Core Realty Partners. This entry was posted in Muskegon Lakeshore Chamber of Commerce on March 20, 2018 by editor. South Muskegon County is growing in population, businesses, and attractions! Find out what’s happening in South Muskegon County from these community leaders. This entry was posted in Muskegon Lakeshore Chamber of Commerce on March 19, 2018 by editor. MUSKEGON, MI – The Muskegon County Silent Observer program is gaining in popularity as Muskegon becomes one of the state’s most popular tourism and living destinations. “Safety is number one for residents and tourists,” says Tom Schultz, Chair of the Silent Observer Advisory Committee. “We are pleased to announce that in 2017, Silent Observer received a record number of tips along with 9 approved reward payouts compared to 1 approved reward payout in 2016,” states Schultz. This is an indicator that law enforcement is committed to using this unique public/private partnership to keep the area safe. The Silent Observer program uses high-tech software to protect the identity of residents submitting tips. A tipster can submit an anonymous tip by phone, the Silent Observer website, or through the Silent Observer App. So far in 2017, Silent Observer has approved $4,350 in rewards to loyal citizen participants. “Not only is law enforcement comfortable with the program, residents now understand that they can remain anonymous when providing information”, says Schultz. The Silent Observer program received over 20% more tips this year compared to 2016. As the holidays are approaching, law enforcement encourages all members of the community to take extra care when locking your car doors and homes. 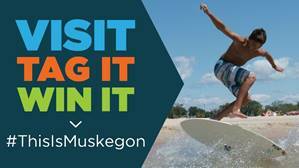 Do your part to help make Muskegon the best place to live, work, and play. 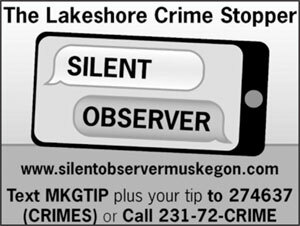 The Silent Observer program is funded by private donations and contributions from the Muskegon Lakeshore Chamber of Commerce. For more information, go to the Silent Observer website at http://silentobservermuskegon.com/. This entry was posted in Muskegon Lakeshore Chamber of Commerce on January 18, 2018 by editor. 2017 – A Banner Year! It is evident that 2017 was a great year for Muskegon County! Statistics from 2017 and the economic forecast for 2018 will be presented Friday, January 26 by Paul Isely at the Muskegon Lakeshore Chamber of Commerce Business for Breakfast. This entry was posted in Muskegon Lakeshore Chamber of Commerce on January 17, 2018 by editor. Announcing the Future 15 Finalists! 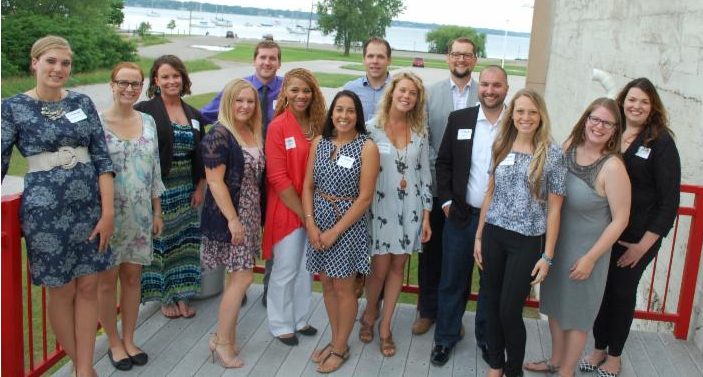 Join us for a special Business After Hours recognizing young professionals making a difference along the Muskegon Lakeshore! Plus – Meet area interns and new professionals joining us following the annual Interns on Deck program. Thank you to everyone who nominated a young professional this year. We received so many great applications! This entry was posted in Muskegon Lakeshore Chamber of Commerce on June 19, 2017 by editor. Final artists for this year’s 2017 Muskegon Lakeshore Art Festival have been selected. “We are pleased that this year, jurors selected local favorites as well as up and coming artists who will bring new style and energy to this event. Approximately 110 new artists will be participating for the first time,” according to Carla Flanders, Lakeshore Art Festival Director. Over 300 artists and crafters from all over the country have been selected to showcase and sell their art July 7th and 8th in downtown Muskegon. A jury of artists and craft professionals review each application to verify all pieces are unique and handmade by the artist. “Careful attention is made to make sure there is variety and diversity of items displayed throughout the show,” says Carla Flanders. The focus of the Lakeshore Art Festival is to present one-of-a-kind art to attendees that is available to purchase, not just for display. New this year is a Student Art Showcase for young artists (K-12 grade) that will be displaying and selling art for the first time in their lives! This special area has been organized in partnership with the Muskegon Area Intermediate School District. Additionally, the show has created openings for Emerging Artists. These limited spaces are reserved for artists just learning how to apply to and become part of a large scale art event. The festival will continue to host “fine art” in beautiful Hackley Park, while handmade crafts will be displayed on beautiful Western Avenue and 4th Street. Artists travel from as far away as Texas and California to participate in the destination event which has been named one of the “Best Small Town Art Shows in America” according to ArtFairCalendar.com. The Lakeshore Art Festival includes street performers, a children’s area, music and food. Additional NEW 2017 festival features will be announced at a later date. For more information go to lakeshoreartfestival.org. This entry was posted in Muskegon Lakeshore Chamber of Commerce on June 3, 2017 by editor. 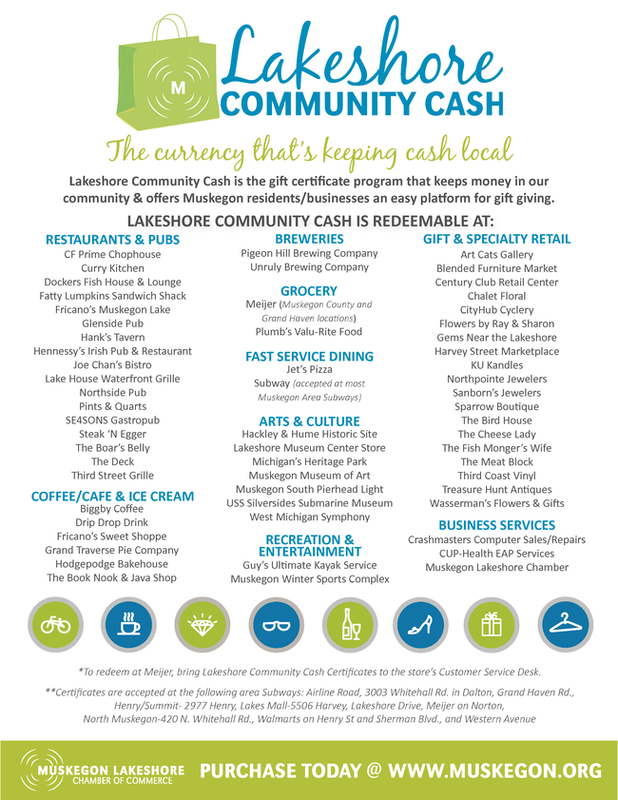 Want to join the growing list of businesses who are accepting Lakeshore Community Cash? 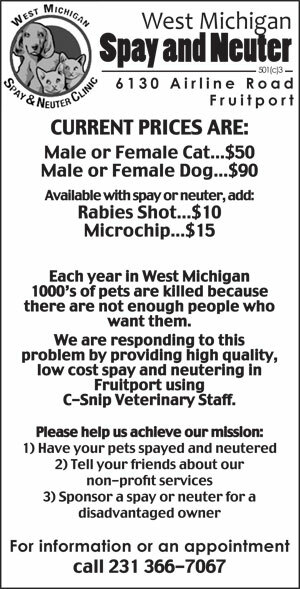 Contact Meg Boertman at 231-722-3751 or click here to send her an email. This entry was posted in Muskegon Lakeshore Chamber of Commerce on April 27, 2017 by editor. MUSKEGON, MI – The 321 Go! retail pitch competition will feature four budding business owners looking to begin a retail business in Downtown Muskegon’s Midtown business district for the summer of 2017. A unique “pitch competition” will establish a new Downtown Muskegon retailer in the summer of 2017, continuing the momentum of downtown redevelopment. 321 Go! is a collaboration of Downtown Muskegon Now, the Muskegon Innovation Hub at Grand Valley State University and the Muskegon Lakeshore Chamber of Commerce to give downtown redevelopment a boost, help establish a new downtown retail outlet and at the same time support the resurgence of Midtown. The competition comes with a winning basket of business services valued at more than $15,000 and six months free rent in Midtown. 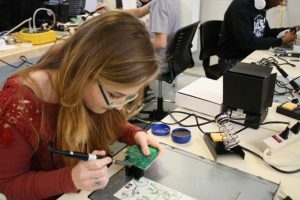 The competition partners have selected the four finalists from nearly a dozen applicants for the “pitch” event Thursday, April 13 at the GVSU Muskegon Innovation Hub that also will be a chamber Business After Hours from 5-7 p.m. The competition begins at 5:30 p.m. Simply Vintage Design, Sheeka Hawkins owner. The creator of affordable jewelry where every piece will be personally designed and handmade, offering quality over quantity. East of Eden Wellness Spa, Jodi McClain owner. This destination wellness business will offer floatation and dry salt therapy along with message. The Occidental Barbershop, Emily Prow owner. An all-in-one men’s grooming center in a retro, vintage and eclectic environment that will provide both services and products. SkeeTown Nutrition, Shuan Hladki and Rebecca Holtz owners. This nutrition club and shake bar will offer a space for the community to gather for a healthy meal and personalized coaching. The winning retail business selected by a panel of business experts will need to be ready to open in Midtown in June 2017 and be able to operate at least 18 months, hopefully much longer. Muskegon businessman, entrepreneur of the year and county commissioner Bob Scolnik will emcee the event. 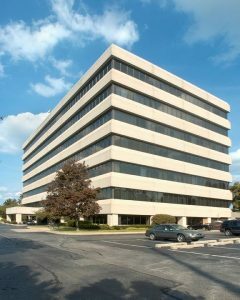 The winning package of business support includes six months free rent at 1144 Third Street in the former Mattson Oldsmobile dealership showroom and office. The rental location is graciously being offered by Brad Martell – a Grand Rapids entrepreneur, property developer and businessman – who purchased the former dealership in 2016 with plans already underway on redeveloping the property. “Brad has stepped up to support renewed retailing in Downtown Muskegon as part of the rejuvenation of the Third Street Business District now called Midtown,” said Dave Alexander, executive director of Downtown Muskegon Now. The winning retailer will need to negotiate a one-year lease with the building owner for after the six months free rent. The winning prize package also includes legal, accounting, marketing, architectural and design services. 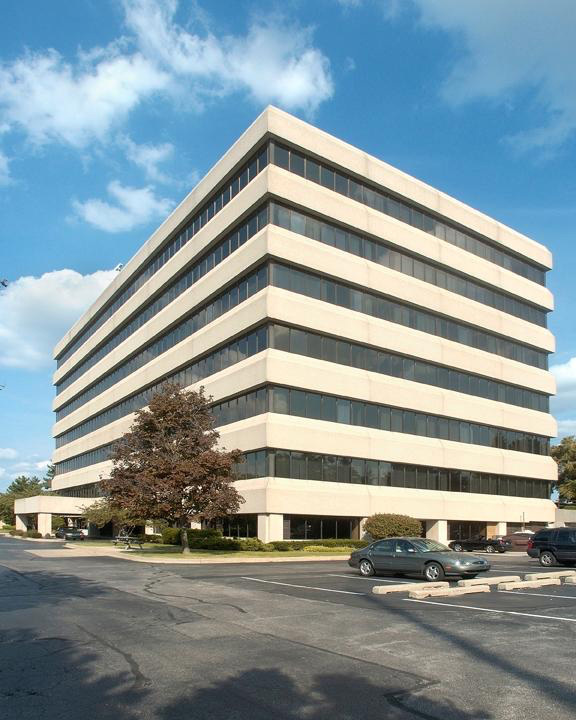 DMN, GVSU and the chamber will also promote the winning business and mentor its owner. 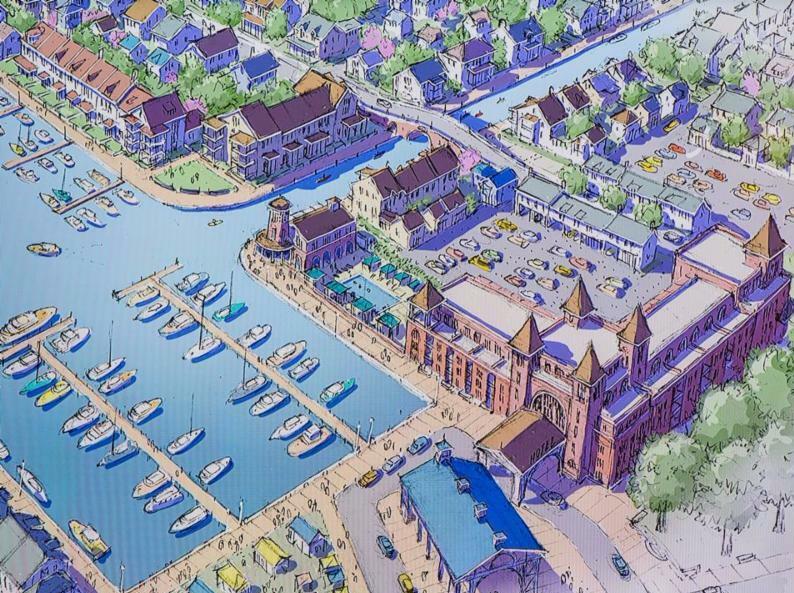 “There is a host of business support services the winner will be able to access through our sponsors and the Muskegon Innovation Hub,” said Kevin Ricco, executive director of the GVSU business hub on the downtown Muskegon Lake shoreline. This entry was posted in Muskegon Lakeshore Chamber of Commerce on April 20, 2017 by editor. If you are interested in learning more about how you can better market your business through your Chamber Membership, Jodi is the person for you! 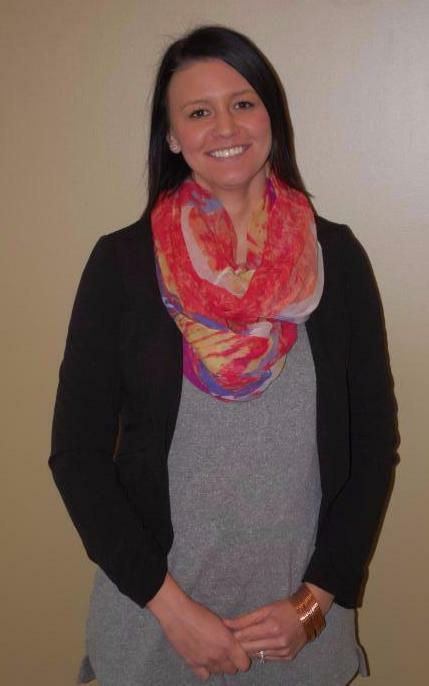 Jodi Kittle is joining the Chamber Staff as our new Communications Manager. 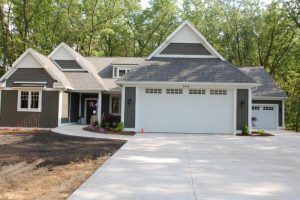 She has been living in Muskegon her entire life and loves the outdoor opportunities available in Muskegon. She especially loves going on hikes with her husband and dog, and attending different sporting events. She is very excited to be working at the Chamber and is looking forward to getting to know all of the Chamber members! This entry was posted in Muskegon Lakeshore Chamber of Commerce on April 14, 2017 by editor. Meet the 2017 Entrepreneurs of Excellence, the Lakeshore’s most innovative entrepreneurs. This entry was posted in Muskegon Lakeshore Chamber of Commerce on April 5, 2017 by editor. Muskegon Economy… Watch Us Grow 2017! 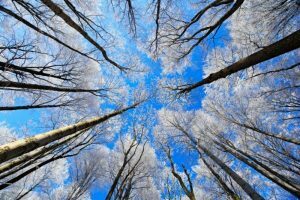 All signs point to growth in 2017 according to Dr. Paul Isely, Associate Dean of Undergraduate Programs at Grand Valley State University – Seidman School of Business. At a recent chamber breakfast, Isely reminded the audience that Muskegon’s mighty manufacturing is a large percentage of the local employment base. 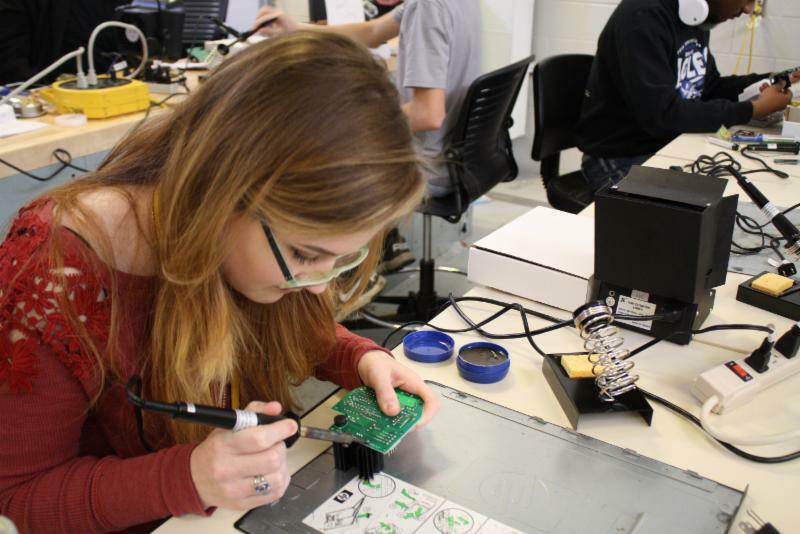 With 2017 identified as the year for the consumer nationally, that ultimately means more jobs for Muskegon manufacturers who are making the products consumers are buying. Muskegon’s low unemployment rate will continue to challenge area employers. The best place to find employees according to Isely, are those who are traveling to jobs outside the county. Currently about 33,000 Muskegon workers are commuting. There are only 3,500 local working age unemployed. 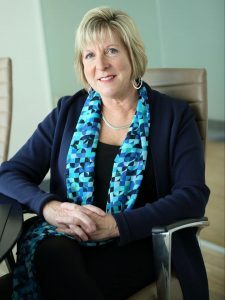 “If employers find a way to sell quality of life by reducing a 45 minute commute to a 5 to 10 minute commute, it is a win/win for the employers and residents,” says Cindy Larsen, President of the Muskegon Lakeshore Chamber. Other aspects of the community are also strong as reflected in the number of new firms and increasing home prices. This entry was posted in Muskegon Lakeshore Chamber of Commerce on April 3, 2017 by editor. 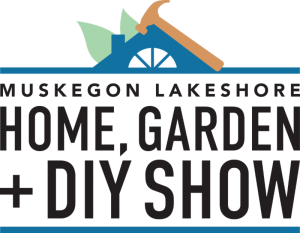 Over 40 exhibitors and 20 home improvement and DIY seminars. This entry was posted in Muskegon Lakeshore Chamber of Commerce on March 3, 2017 by editor. Learn new ways to help advance your career or job prospects by becoming a “Muskegon Star”! The Muskegon Lakeshore Chamber of Commerce is working in partnership with West Michigan Works! to help workers enhance customer service skills specifically in the hospitality and retail industry. This fun and affordable program is designed to help individuals become “Muskegon Stars”! 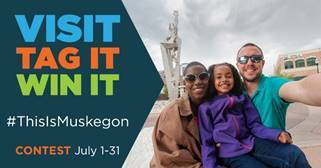 In a half-day session you will learn about all the cool places to visit on the Muskegon Lakeshore and how to engage customers and area residents by promoting the Muskegon Lakeshore. For restaurant servers, this knowledge sharing can result in higher tips and for retail workers it can help you get a promotion. 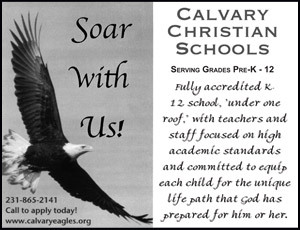 To find out more about this interesting and certified program review the information attached. Muskegon STAR! Trainings are held monthly at the West Michigan Works! office from 1:00pm-5:00pm. Registration cost is $25 per person, space is limited! More information about the program can be found at www.muskegon.org. This entry was posted in Muskegon Lakeshore Chamber of Commerce on March 2, 2017 by editor. This year we bring in new leadership at the chamber. Lee Coggin, President of Baker College will be the chair of the chamber board. We welcome Andy Price, Owner of McKenzie-Price Agency as Vice Chair, Tom Schultz, Vice President of Tyler Sales as secretary, and Randy Filbrandt, Owner of H&S Companies as our treasurer. Randy is new to the board along with Shawn Buckner, Northern Region Group Vice President at Meijer Corporation and Dave Hazekamp, President of Hazekamp’s Premier Foods. We must bid farewell to our outstanding chairman, Larry Hines, Owner of Hines Corporation. We are also losing board members Rex Vanderlinde, former owner of Executive Air, Tom Godfrey, formerly of Fifth Third Bank, Bill Vanderweele, Owner of Weber Lumber, and Brenda Jacobs, Partner at Brickley DeLong, PC. All of these individuals have contributed to our success as a chamber helping us win recognition at the state and national levels. We will miss them. Please take time to thank them for their contributions to your organization. This entry was posted in Muskegon Lakeshore Chamber of Commerce on February 22, 2017 by editor. Construction of the Terrace Plaza apartments is now underway. The 6th Floor will have 19 one and two bedroom apartments, ranging from 618 to 1,097 square feet. The 7th Floor will feature a 2,337 square foot, two‐bedroom penthouse apartment. Also on the 7th floor will be a common area fitness center and community room with an outdoor patio. All of the units will have a washer and dryer, granite counter tops, spacious closets, and stunning views of downtown and/or Muskegon Lake. Enclosed parking will be available for all residents. Downtown Muskegon Now, the organization charged with promoting and developing downtown, anticipates that more housing projects will soon follow. The Muskegon community has received confirmation that the Pearl Mist will be visiting the Port of Muskegon 10 more times in 2017. The Pearl Seas cruise line company based in Toronto, Ontario, operates the Pearl Mist and is excited to return to Muskegon. Click here for more information about the Pearl Seas. 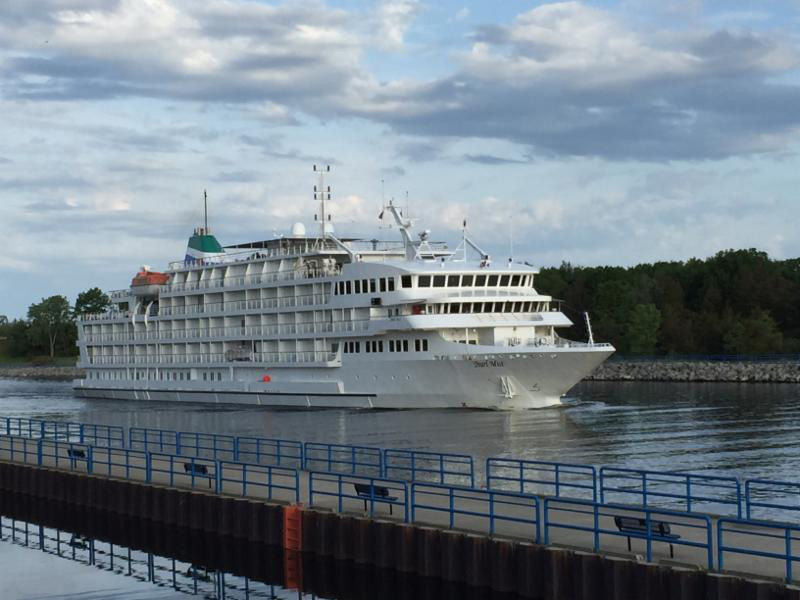 Click here for more information about the Cruise Ships visiting Muskegon. 2016 was a record year for many aspects of Muskegon County. Community leaders attribute the success to the WATCH Muskegon campaign as well as the marketing efforts of many Muskegon organizations. The two County Parks on Lake Michigan and three State Parks along with Festival Grounds and a Cruise Ship Port on Muskegon Lake is helping to promote Muskegon as a tourist destination. This entry was posted in Muskegon Lakeshore Chamber of Commerce on February 10, 2017 by editor.